Garlic Planting Time is Here! Garlic planting time is finally here, and it’s one of my favorite fall garden traditions. Like tulips and daffodils, garlic is planted in the fall and comes up in the spring. Winter is long and cold here, so by the end of February, the kids and I are more than ready to start looking for signs of spring. One of the earliest arrivals is the garlic peeking its head out of the ground, giving us a boost of energy to make it through the rest of winter. Garlic plant peeking up through the late snow of February. Garlic not only adds a gourmet touch to home cooking, it also adds a super healthy punch (The Health Benefits of Garlic). If your family likes garlic and you're ready to reap its many health benefits, but you’ve never grown it before, believe me, it’s easy and fun. The Easy Garlic Growing Guide (see download form above) is an easy-to-follow checklist that walks you through the step-by-step process of how to grow garlic: 1) What You’ll Need; 2) When to Plant; 3) How to Plant; 4) In the Spring; 5) Harvest Time; and 6) Curing and Storing Garlic. Each bulb separates into cloves. Each clove planted in the fall yields a new bulb the following summer. If you find yourself short on time, start small this first year. 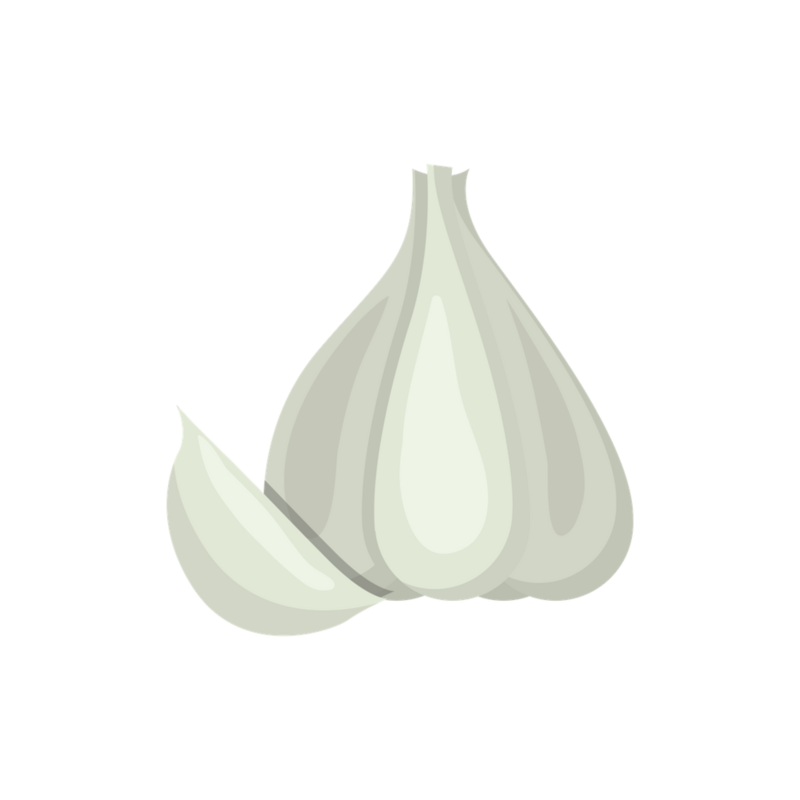 Plant 6-8 cloves from ONE garlic bulb this fall, and you will have 6-8 plants to harvest next summer. If you like, you can plant more next year! It’s always fun to try something new! Garlic scapes appear about a month or so before harvest. They are edible and can be used in cooking. They are removed to allow energy to go into bulb formation. Q: How did you feel about growing garlic for the first time? So, from my garden to yours, Happy Autumn! Please let me know if you're “in” on growing garlic this fall. I would love to hear your experiences.